IILM Delhi journey in integrated learning in management originated in 1993 under the aegis of the Ram Krishan & Sons Charitable Trust. Today, 25 years after its inception, IILM Institute for Higher Education Delhi has been delivering superior quality education consistently and incessantly. It is this unique heritage spanning decades of excellence in higher education that sets us apart from other educational institutes. The IILM Institute for Higher Education Lodhi Road ethos is focused on identifying and nurturing the next generation of thought leaders through intuitive education. 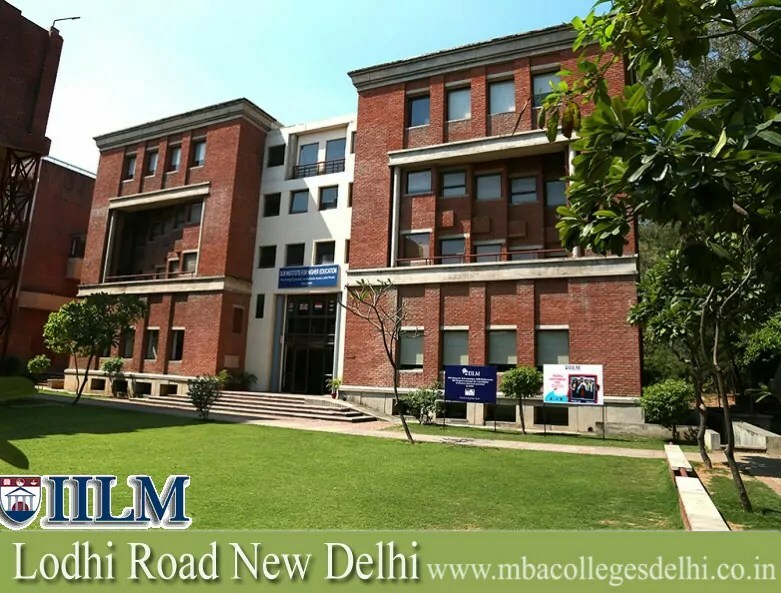 IILM Delhi is top B Schools in Delhi NCR. Offers PGDM programes at three campuses within the National Capital Region of Delhi. Faculty members at Institute realize that for students getting into a business school. The PGDM diploma is not the destination. So a successful business career is the destination. To deliver on the value proposition that is management education. It work very hard to provide students both preparation and pathways to successful business careers. Hence faculty members work to stay current with the dynamic world of business. Therefore faculty team ensures exceptional co-curricular opportunities and placement support to students using our well planned road-map for success . Globally bench-mark curriculum with access to world class learning materials. renowned professors, industry captains,Policy makers and social sector representatives. Approval by the All India Council for Technical Education (AICTE). Work experience, additional educational qualification will get extra weightage. Those who have appeared for their final year graduation examinations in the current year may also apply for admission to Post Graduate program. OB and HR, Leadership and Negotiations. Marketing, Branding and Customer Service. Economics, Strategy and International Business. Communications & New and Social Media. A xerox of Graduation Examination mark sheet (1st & 2nd year mark-sheets for 3 year degree holders and 1st, 2nd & 3rd year mark-card for 4 year degree holders, in case applying for Final Examinations). Filling up of IILM Delhi Application form separately. All students seeking admission to must fill-up the prescribed application form, and submit the same to Admission Office. Writing to Admission Office for the required admission form. For Free Counseling and Admission in IILM Institute for Higher Education Delhi call ! !Call 9910604275, 9540071958, 9312773279 .